We made two types: vanilla and green tea. I’ve included photos from both in this post. 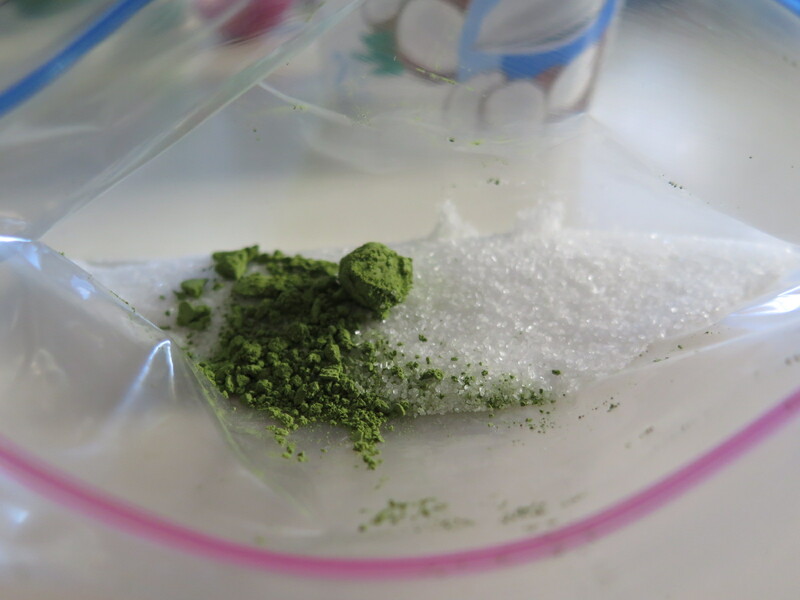 small bag of cream, sugar, & matcha green tea powder sitting on top of ice and salt and covered with ice and salt. I asked her how we were going to make it and what we needed. She told me all we needed was cream or half and half, vanilla, sugar, ice, a yogurt cup, some zip lock bags and salt. I was intrigued that this didn’t involve a fancy ice cream machine. My friend is a high school teacher and she had her grade 9 science class do this. 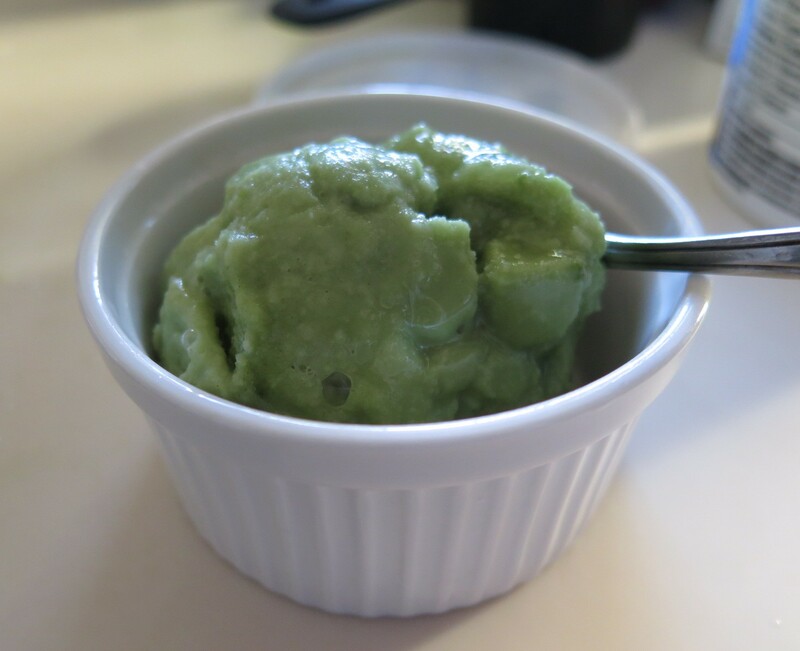 It was a very quick and delicious DIY activity and I would definitely see this as a fun experiment to do with kids or basically anyone that likes ice cream or single serving sizes of ice cream. 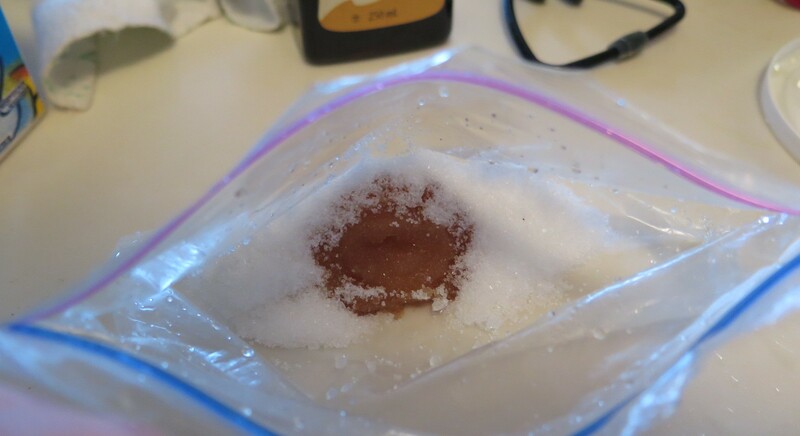 We put the sugar and the vanilla extract into the small sealable bag. Then added cream and squeeze out extra air and seal it up. 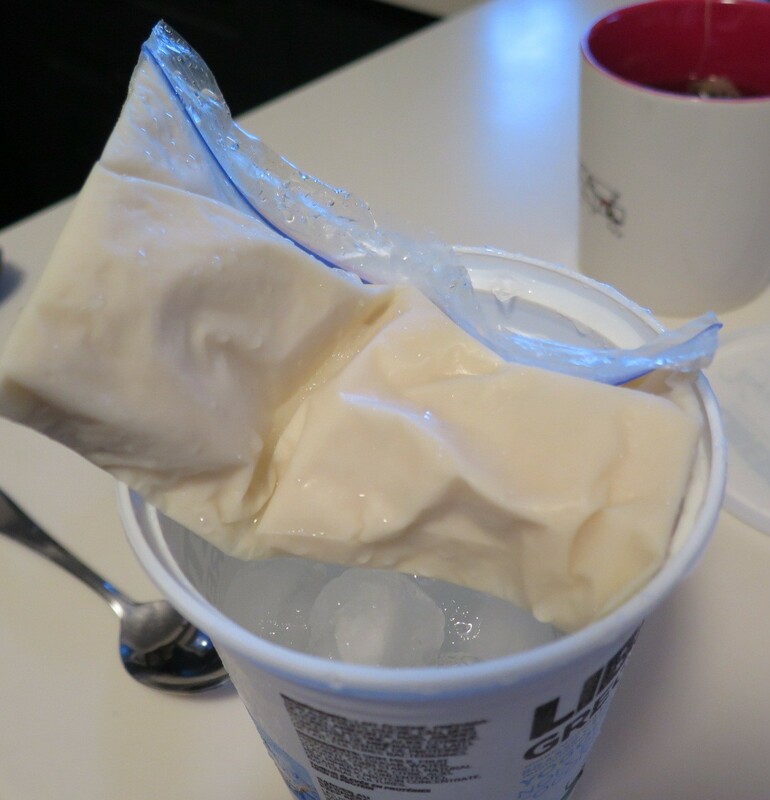 Then filled the yogurt containers halfway with ice and 1 tbsp of salt. 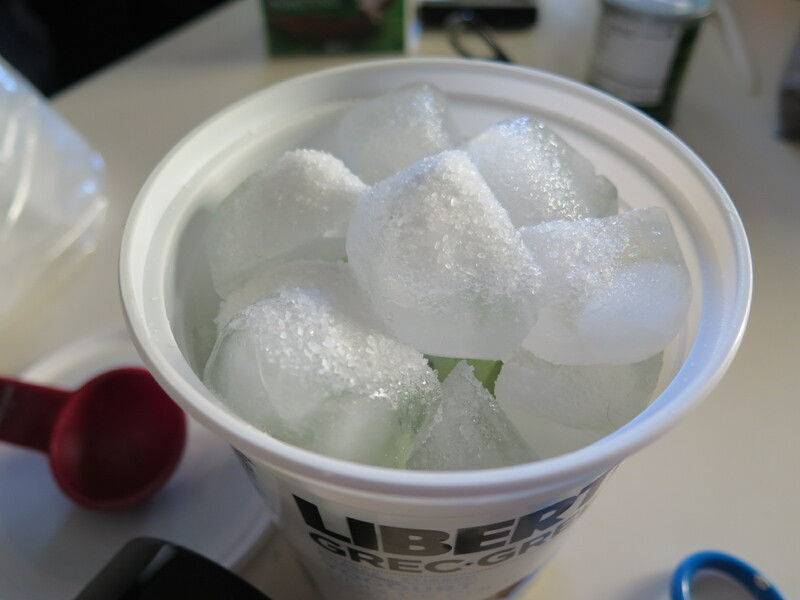 Then we put our small bag and filled up the rest of the container with ice and 1 tbsp of salt and cover with the lid. And now set a timer for 5 minutes, put on those oven mitts and start shaking the container. Stop at the 5 minute mark to check to see if your cream is becoming more solid. 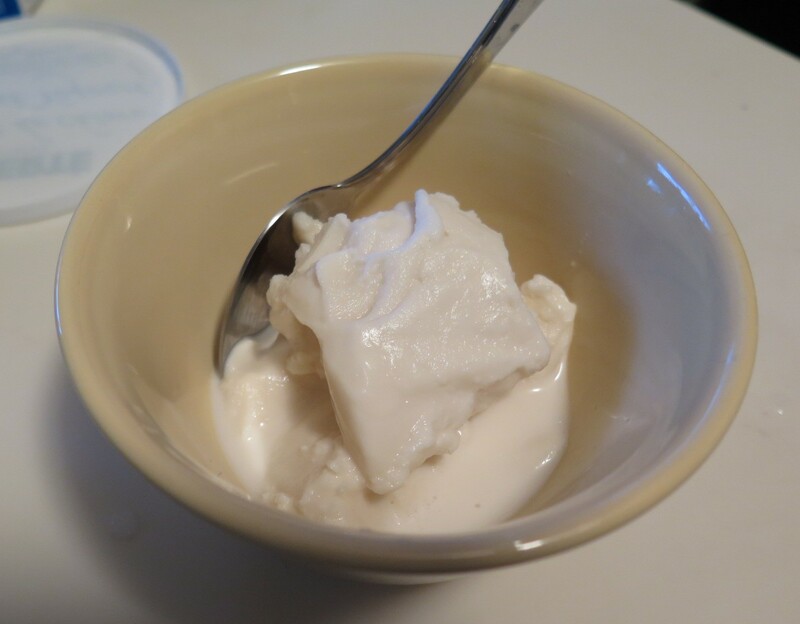 If your cream isn’t as solid as you’d like but you still have plenty of solid ice, add more salt. Otherwise, add more ice and salt to the container. Once your cream is looking more solid just carefully remove from the container and carefully open the small sealable bag. 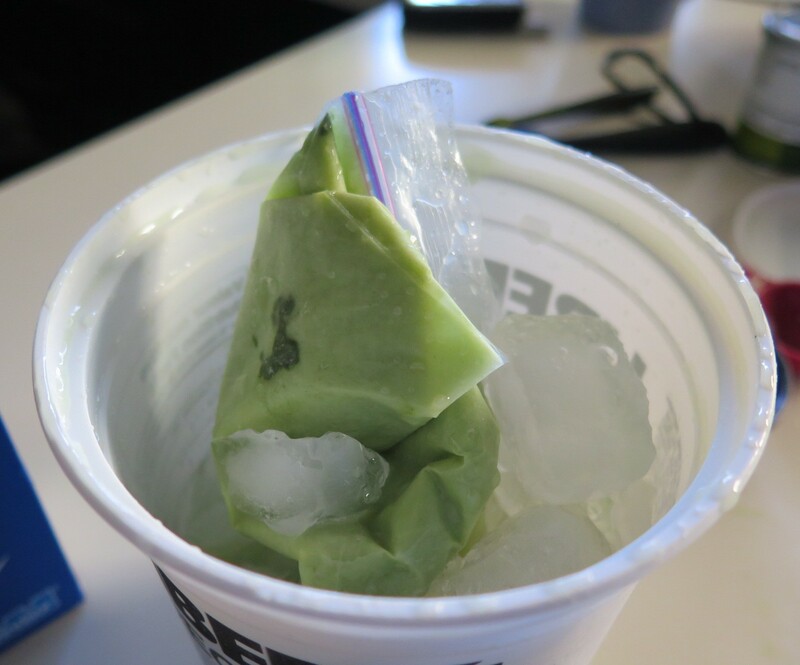 When we add salt it lowers the freezing point of water and when the ice melts it starts to absorb heat from the ice cream which causes the ice cream to solidify. I might’ve enjoyed science class more if there were more food experiments that ended with the class eating. The texture isn’t as hard as hard ice cream straight from the box or your neighbourhood ice cream shop it’s on the ice-y side but both were delicious. I did get a bit of salt water that seeped into one and hence my recommendation to double up on the small bags. We used the half size small bags but that’s just because it’s what she had on hand. I’m sure the regular small size bags would work fine and might have less chances of opening up during the shaking as long as as much air as possible is squeezed out. 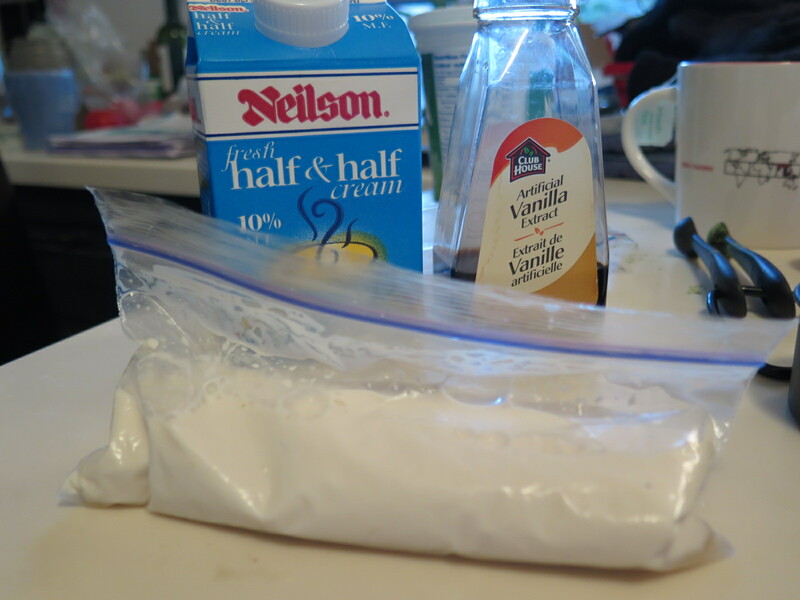 Half & Half, Vanilla Syrup, Small sealable bag. Have you made ice cream before? How do you make it? If you decide to give this a go let me know how you enjoyed the process and end result. Also, let me know if you come up with some delicious flavour combinations.